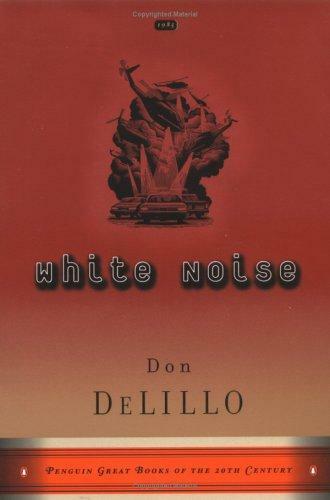 Jack Gladney, the protagonist of White Noise by Don Delillo, is an educator who apparently does not educate. Wearing dark robes and thickly tinted sunglasses even for inside lectures, Gladney mocks himself and the profession he serves throughout the narrative. The preeminent scholar of Hitler studies, a field he admits to conjuring up on a whim, Gladney professes at "The-College-on-the-Hill," a small liberal-arts college somewhere in the midwest. Despite his job title, from his first person viewpoint in the novel , the reader never encounters him interacting with any of his students. In fact, the closest the novel comes to providing an interaction is when Gladney visits and lends his professional authority to another "professor" at the college, Murry. Gladney and Murry spend this solitary didactic scene waxing philosophical; Murry lectures on Elvis -- his connection to his mother, his connection with death, his belief in the occult -- while Gladney interjects with comments that seem to relate Elvis to Hitler. Gladney and Murray's dance serves to elevate Elvis by the sheer weight of the comparison with Hitler. The entire edifice of education is mocked throughout the novel. Mrs. Gladney -- Jack's fourth or fifth wife -- teaches a class on correct posture and the other professors at The-College-on-the-Hill teach courses in crass pop culture. No learning seems to take place at all in the novel, and in fact, the type of knowledge Gladney's children and step-children reflect is simply memorized factoid piled on top of de-contextualized information. Whole pages are spent explicating the ever more fracturing lies of conversation that take the family from questions of animal types to the population sizes of marginally important countries. One example: Gladney's son offers five dollars to anyone in the car who can name the population of Bolivia, give or take 50,000. His sister's response: Bolivians. As I am writing these thoughts without benefit of the book (I turned it in to the library earlier) I will conclude with I thought was the most profound insight Gladney receives in the novel. Bleeding from a gun shot wound, Gladney visits a Catholic-run hospital expecting to find some reaffirming message from the nuns and priest. Referring to Jesus, he is surprised to hear the nun explain with contempt that none of the Lord's workers at the hospital believe in God, they only act that way to help those who do not believe to have something to fall back upon. That someone believes in God, the supernatural, transcendence, Gladney discovers, is what allows those devoid of faith in anything to continue on. Gladney's education at the close of the book forces him to lose even that last shred of faith -- not in a super-human goodness, but in members of humanity who believe. He is untethered form all belief at this point. The apocalypse the novel keeps referring to, of chemical spills, toxic airborne events, and digital disintegration, becomes realized for him as a total loss of faith in faith itself. He can go back to being a sham teacher with his thick sunglasses and black robes because it is all a sham, it's all white noise, sound and fury signifying nothing.